Elementary, middle, and high schools nationwide are in need of our help. Throughout the school year, students who violate the school uniform code are either sent home for the day or in-school suspension. Just for not wearing the correct shirt, students miss out on a full day of learning. We’re asking you to help us eliminate this excuse for not learning. 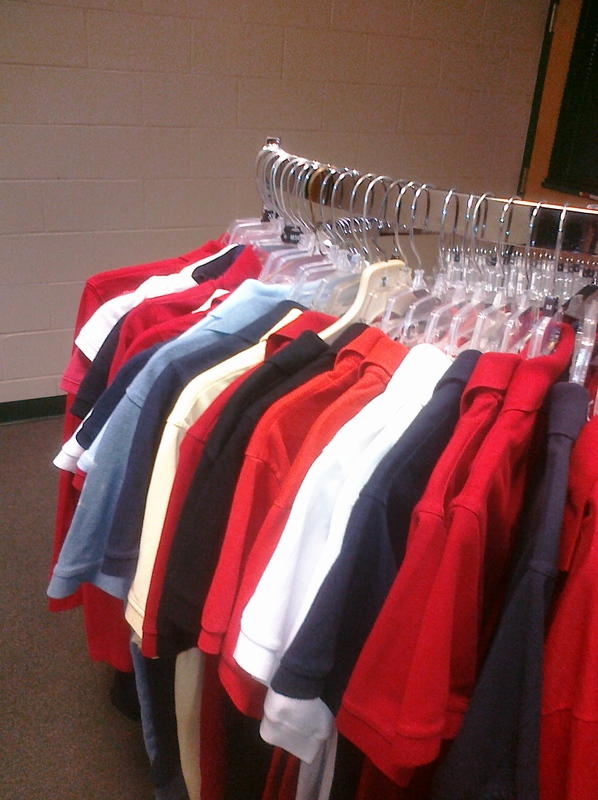 Our goal is to provide at least 100 shirts to a school each year to create a clothing closet, which will help students remain in the classroom. We hope to expand the uniform drive each year to more schools until we eliminate improper school attire as an excuse for academic failure. For as little as $5 per shirt, we can make a difference. Please go to our donation page or click the button below to donate. We thank you in advance for you support!